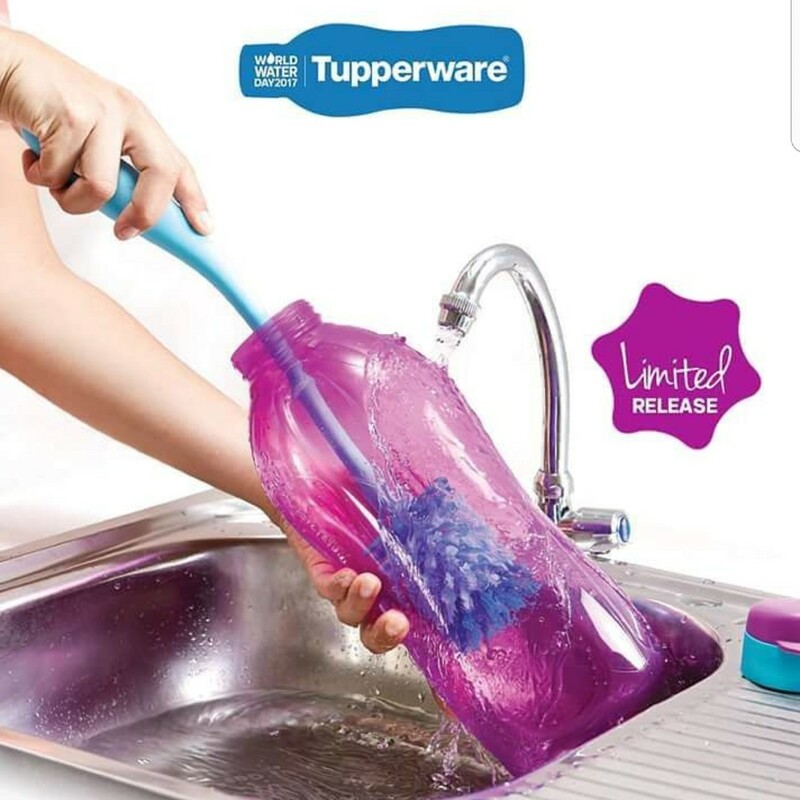 This is a set of Eco Bottle Brush, that produced by Tupperware Brands. It is a *must have* brush for all Eco bottle users. It's 39cm long handle allow you to clean the inner part of the eco bottle perfectly. The eco bottle brush is designed to be - " 1 fit for all size" , it can use to clean the eco bottle of 1L, 750ml, 500ml or even the 310ml. This is a set of Eco Bottle Brush, that produced by Tware Brands. It is a *must have* brush for all Eco bottle users. It's 39cm long handle allow you to clean the inner part of the eco bottle perfectly. The eco bottle brush is designed to be - " 1 fit for all size" , it can use to clean the eco bottle of 1L, 750ml, 500ml or even the 310ml.